Are you unsatisfied with the way your lip looks? While facial fillers such as Juvederm can provide your lips with volume, a lip lift leaves you with a shorter space between the bottom of the nose and the top of the lip, resulting in a more proportionate face and a fuller lip. Who Makes A Good Candidate for an Upper Lip Lift? The length between the bottom of the nose and the top of the lip is more than 15mm. The length between the bottom of the nose and the top of the lip compared to the bottom of the lower lip to the chin are relatively the same. The nose and lip area of the face looks abnormal and the patient is bothered by its appearance. The patient shows little to no teeth when they smile and laugh. What Takes Place During A Lip Lift Surgery? Lip lift surgery in Atlanta is done with local anesthesia. The procedure typically takes less than one hour to complete. Dr. Stong, our Atlanta plastic surgeon, will carefully measure and remove a portion of the skin under, and across the length of the nose. 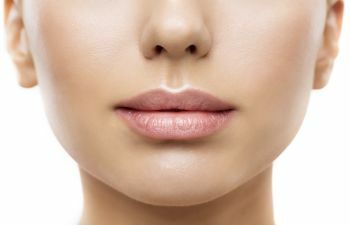 When the skin is brought back together to cover the removed portion, the lip pulls up (to make the area shorter), and out (to make the lip fuller). Dr. Stong can provide you with customizable treatment and results. If you’re interested in getting a lip lift in Atlanta, then call us today. The expert team of Kalos Facial Plastic Surgery look forward to meeting you.